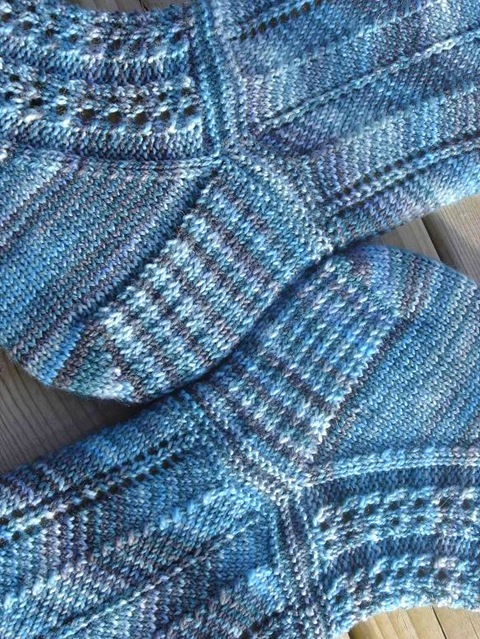 I like the contrast between the leg and foot patterns, and for some reason I am really pleased with the garter stitch "Anklets" too! 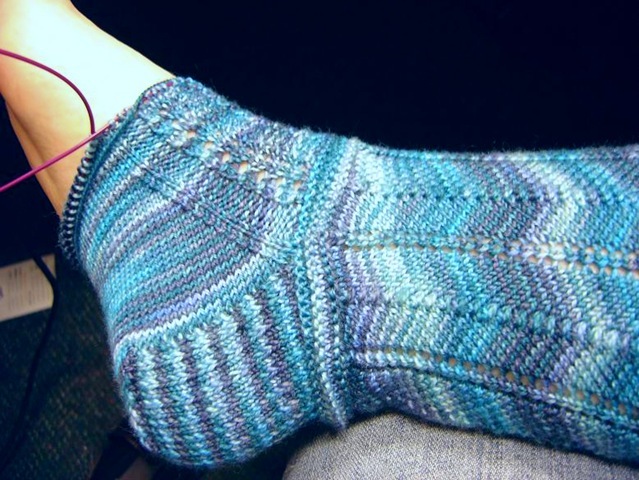 All in all, this pair has been a pleasure to knit, and has had enough uniqueness and unusual additions to keep the whole thing fresh and interesting - from Zigzagging Cuff to Kitchenered Toes. 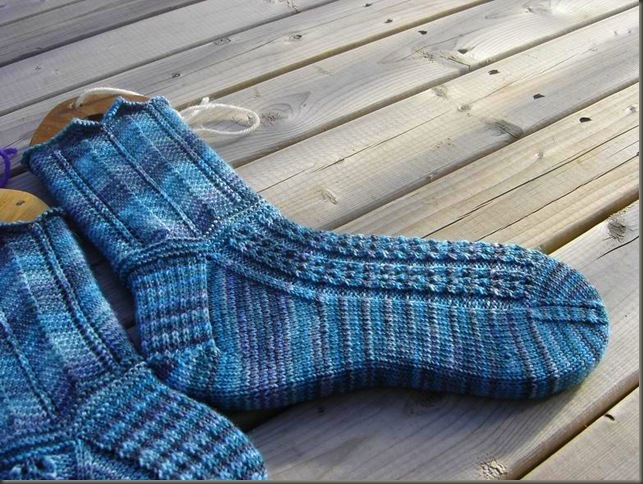 The Yarn is what really steals the show though... This Yarn was the special skein I won over on Violently Domestic from the lovely Hunter Hammersen! 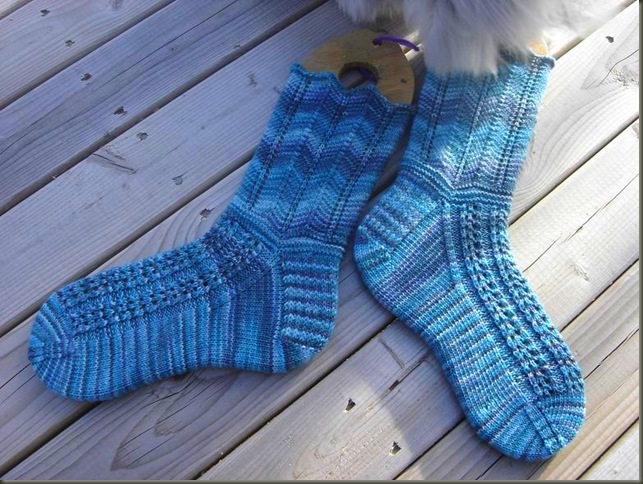 In case you didn't read the previous post... Hunter is one of my Sock Rock-Star Idols... go check out her patterns! They are fantastic! and plus she has a new book coming out in December. I preordered mine last week! The yarn itself has a nice feel in the skein, and an equally pleasing feel in the finished socks. It is plied tightly enough to make a smooth tight fabric, but still retains it's bounce and stretch too. The dye job created just enough pooling interest for my liking. 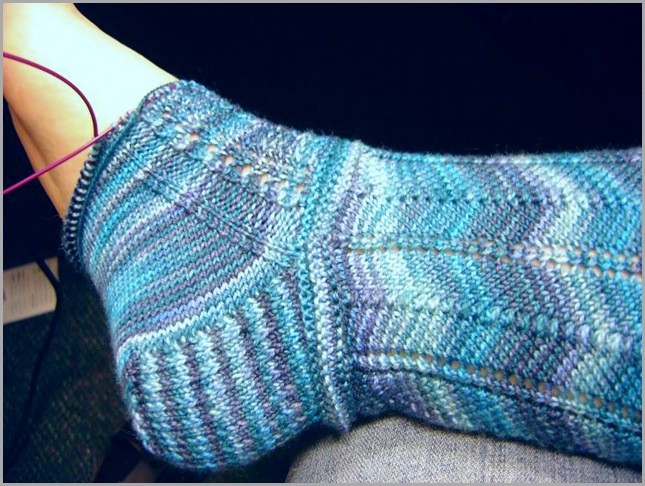 I have cast on for this pattern several times before with different yarns, but I wasn't sure how I'd like the pooling and flashing around the chevron portion of the leg.... so I had decided to err on the side of caution and try something else for those yarns. I'm really glad I just jumped in with both feet (hardy-har... Feet! 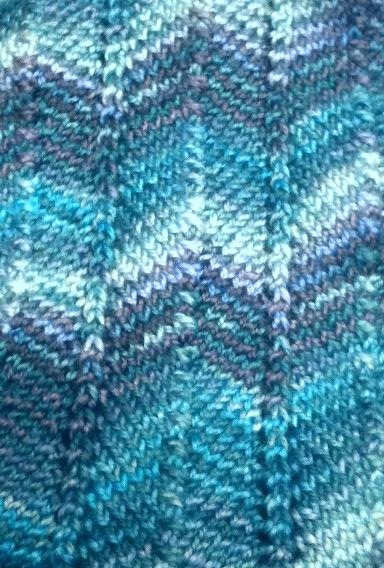 )on choosing this yarn and pattern to go together, because I really like the end result. I have another pink skein of yarn from this company... a Cashmere blend too! 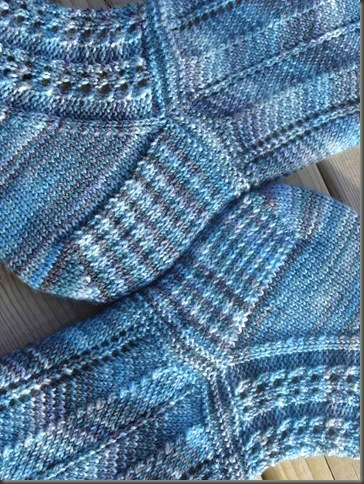 I can't wait to find the perfect pattern for it and get started on that someday.